The Bloomsbury Hotel, London has unveiled its newly refurbished and extended conference and meeting facilities, after a multi-million pound makeover. The project also saw the lobby and bedrooms get a revamp and the launch of the new Landseer restaurant. The flagship conference rooms – George V and Queen Mary Hall – now feature crystal chandeliers, rich carpets and a new colour scheme, while retaining the original detail of the cornices and mouldings. The Library and Chapel have also been restored and are now available to hire as smaller meeting venues for up to 26 people. The London hotel has also added four new meeting rooms for up to 18 people, with built-in data projectors and screens. Work is soon to start on the final conference room to be revamped, and is expected to be completed later this year. The 153 newly decorated bedrooms have also had a revamp, with the new colour scheme mixing dark-mushroom greys with splashes of colour. Rooms come with free broadband internet access and flatscreen televisions, while executive rooms and above have Nespresso coffee machines. The neo-Georgian building was designed by British architect Edwin Landseer Lutyens as the headquarters for the YWCA, hence the name of the Landseer Restaurant, which opened in November last year serving British cuisine made from locally sourced ingredients. Guests can now also eat al fresco on the terrace, which opened this month. The relaunch of the hotel, previously known as Jurys Great Russell Street, is part of the Doyle Collection’s overall repositioning in the luxury market. The Jurys Doyle Hotel Group became the Doyle Collection in December last year (see online news December 3), and went on to join the Global Hotel Alliance in January. 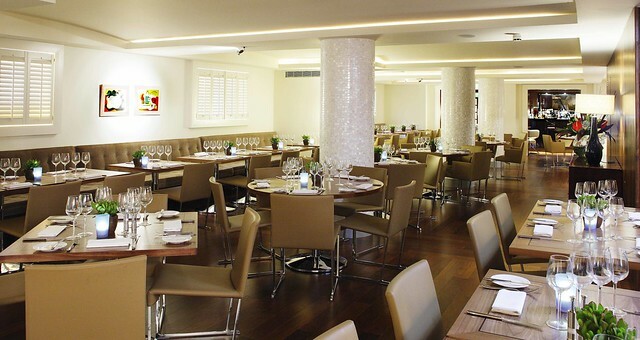 Other members of the Doyle Collection in London include The Marylebone Hotel (click here for a review) and The Kensington Hotel, which have also recently been refurbished.